To know the history of U.S. policy toward native people is to know U.S. History. This is something that was never talked about in school. Especially from this perspective. Dee Brown gives an excellent overview of many of the encounters that took place between native people and the U.S. government during the 1800’s. He used many first hand sources including the U.S. Congressional record to provide background for his retelling of U.S. History. I recommend this book to anyone interested in knowing the plight of Native people in the U.S. It really shows how native people faced extreme violence and persecution when dealing with U.S. policy toward their people. Many times they had no option other than forced removal or death. Most nations did resist in some ways and put up valiant fights against armies that had much superior weapons and resources. Those that defeated the U.S. Army would eventually have to face them again and fight, but while fleeing for their lives. Many of the California tribes had no hope in defeating the oncoming invasion, with the exception of the Modoc tribes. Some of the other more successful tribes that were able to win some concessions from the U.S. government were the Lakota and Apache tribes, but many tribes fought fiercely to defend their original homeland. Again, in the end many had to move to a reservation, usually in some other location outside their traditional territory or just far away enough to allow White settlers to come in and take what land and/or resources they wanted. The reservation life was really one of the only other ways of survival. Some did choose to die fighting or live in the most isolated places they could find, but in the end the U.S. Army would find them and force them to relocate. So pick up a copy of this book online or in a used book store (1st printing apx 1970) and learn about our how the U.S. was responsible for removing native people from their land in order to make way for U.S. expansion. We were responsible for the partial ethnic cleansing and forced relocation of Native People. 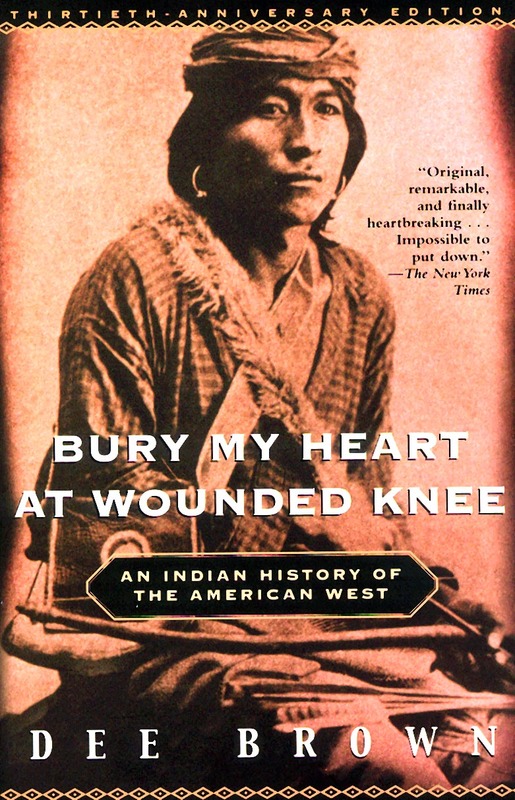 This book was also made into a film recently and the name refers to Crazy Horse’s desire to be buried in his ancestral home land in South Dakota.